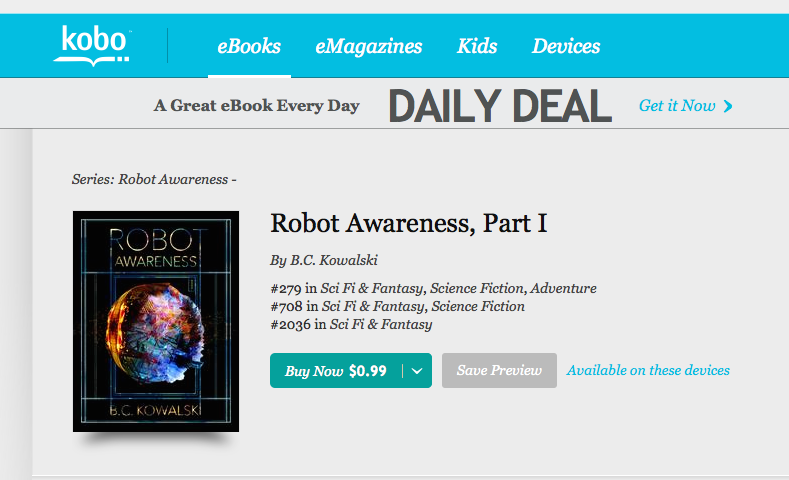 That’s right, you can now get Robot Awarness on Kobo! I know at least one of my good friends was waiting for it to appear here. Next B.C. Kowalski author page now up on Amazon!